We've only been using CounselEAR Complete OMS for a few weeks and it's already been a game changer. When a practice changes from one OMS to another the transition period is often painful, but not when switching to CounselEAR. The system was really well thought out; doesn't hurt that it was founded and created by a successful audiologist who had his own practice for several years. It really is quite user friendly, as software should be. Brian and Margaret are super knowledgeable, passionate about the product, and super helpful. Efficiency is at an all time high and only predicted to get better. 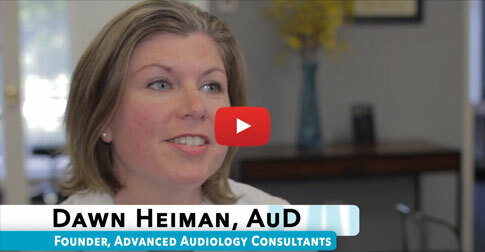 I've worked w/ Hear Form, Sycle, and Blueprint and CounselEAR is definitely the best audiology OMS on the market. Make the switch! You will not regret it. Without reservation, I would recommend CounselEAR Office Management System to any hearing care provider or practice. With our previous software, we were continually frustrated by the limitations and the cost of upgrades, in addition to maintaining an internal server and back-up system. We used CounselEAR for report writing for several years and finally made the decision to go paperless and adopt CounselEAR OMS about a year ago. The transition was smooth, fast, painless, and absolutely no data was lost. The CounselEAR OMS software is intuitive and we were all relatively proficient in a matter of a couple business days. The whole CounselEAR team is incredibly responsive and helpful and it is clear their goal is to improve the software and our experience. They are continually updating the software and improving the interface and always answer every call and question with patience and professionalism. I have found the use of this tool to be invaluable (and affordable) in bringing my ENT-based clinic from totally paper-based to nearly entirely computerized. My computer-illiterate doctor has come to realize the importance and potential of paperless charting and loves how I am able to access audiograms from anywhere. We also appreciate being able to directly import into Noah so that we can do our hearing aid demos, which we typically have at least 2 or 3 per day. They used to take considerably more time to set up, so I had less time with my patients...and as you know, in an ENT office, time is always tight! We needed to get our reports out to referral sources faster. With CounselEAR our audiologists can put together the history, the audiogram, the results and recommendations on the fly, reducing the time needed in transcription and saving us more time for patient care. I recommend CounselEAR to anyone that wants to provide patients and referral sources a professional looking report in minimum time. The Speech, Hearing, & Learning Center, Inc. Prior to using CounselEAR, report writing took a long portion of the day in order to write a professional looking and sounding report. It was one of those things that was a necessary evil to stay in contact with referrals. Since using CounselEAR, the time spent on creating reports has significantly decreased. Additionally, we've been able to create a more standardized and consistent report, which has been useful with multiple audiologists and externs. I would strongly recommend this product for any audiologist and clinic interested in efficiency, especially for those clinics with multiple providers or offices. Before I switched to CounselEAR, writing reports to patients and physicians often took way too long. In addition, I wasn't satisfied sending audiograms with handwriting on them as they did not appear as professional as I wanted them to. However, after using CounselEAR I was amazed how user friendly and professional the reports were. I would recommend CounselEAR to any audiology practice hoping to increase not only their efficiency but also their professional image. Before I discovered CounselEAR, I would spend a significant amount of time writing reports. CounselEAR has cut my report writing time almost in half. In addition to writing reports quicker, CounselEAR allowed me to have instant counseling material tailored to my specific patient that they can bring home to review. Also, I love that I can now transfer my results between CounselEAR and NOAH. No more double entry, no more hassle. I would recommend CounselEAR to anyone who currently spends 'too much' time writing reports and creating counseling material for the patient.